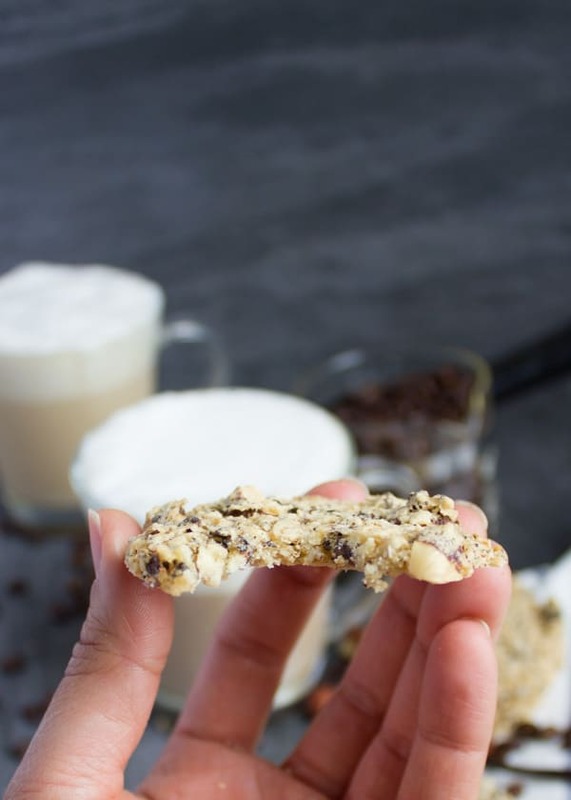 These Coffee Crunch Italian Cookies are light as air, delicately crispy, loaded with chunks of coffee beans and hazelnuts, and not too sweet! The best thing? They are easy to make and only require a handful of ingredients! 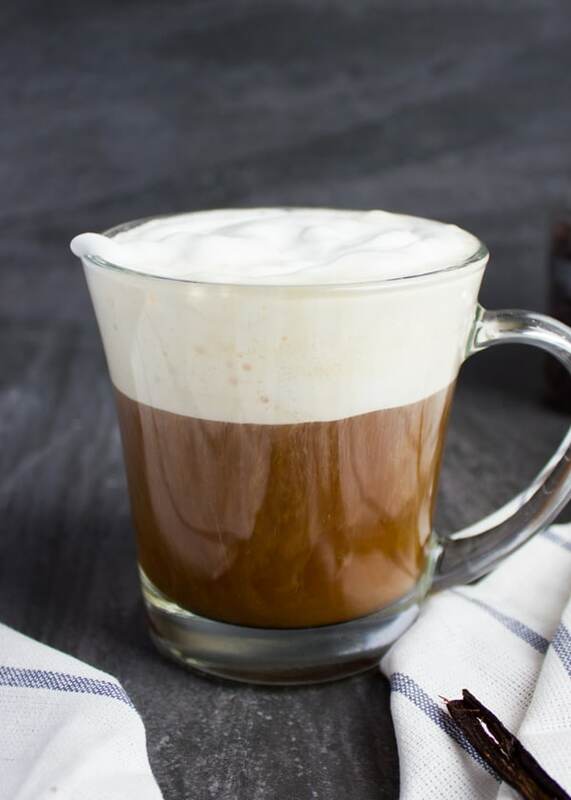 Latte lovers, I’ve got you covered! And I’m starting with myself since I’ve found my perfect cup of caramel latte and you know what? 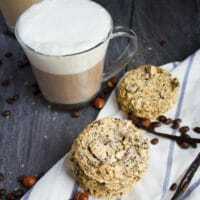 I am pairing it with light as air Coffee Crunch Italian Cookies! 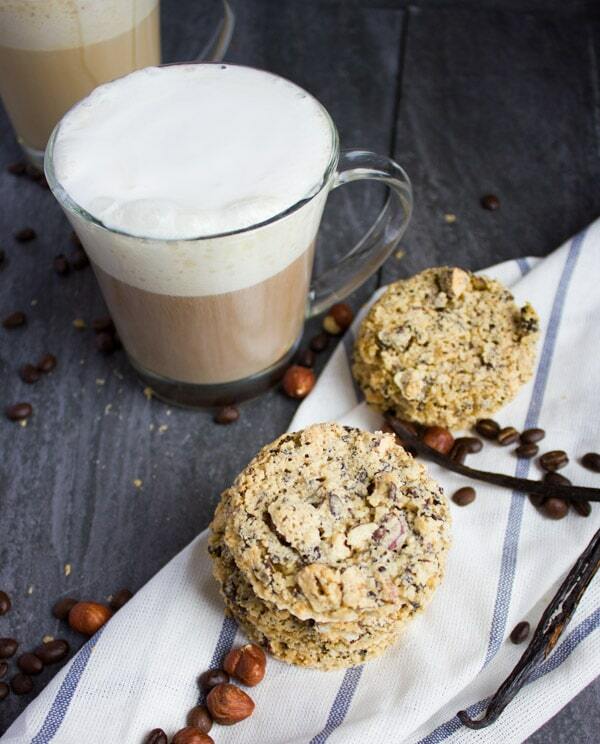 These Coffee Crunch Italian Cookies will be your latte’s best friend! They’re light as air, delicately crispy, loaded with chunks of coffee beans and hazelnuts, and not too sweet! My crispy Italian Cookies remind me of an Amaretti cookie, but thinner and crispier with plenty of crushed hazelnuts. I love that crunch, the texture, the taste. Best of all, they’re made with basic ingredients and come together in minutes using a bowl and a whisk—no fuss at all. These Italian Cookies are made with by mixing a simple combo of egg, sugar, vanilla, almond flour and a touch of baking powder. Quick and easy! 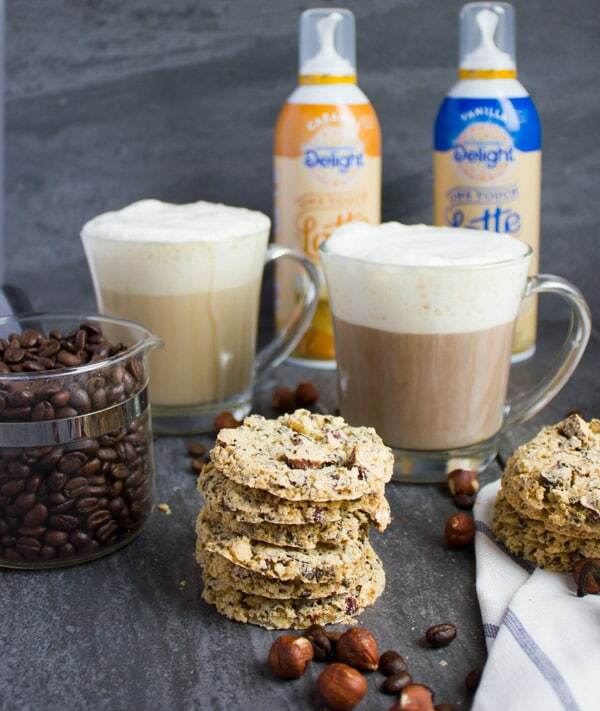 These crispy Italian Cookies go so well with a creamy, sweet and frothy coffee beverage. 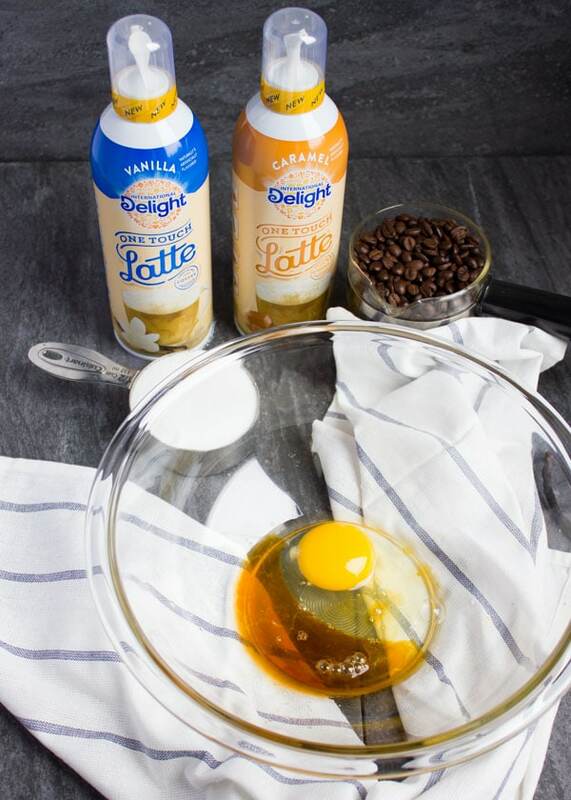 In a large bowl, add the egg, sugar, vanilla, almond flour and baking powder, and whisk them until smooth. 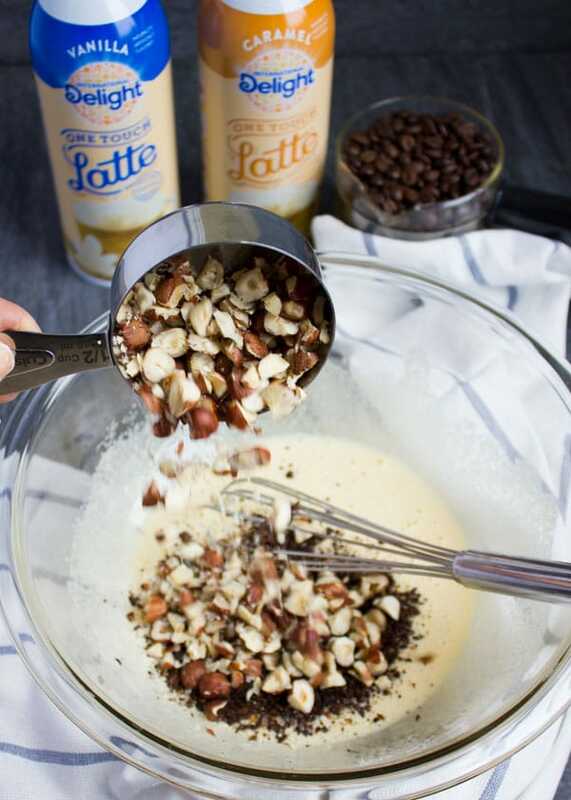 Add the crushed coffee beans and hazelnut and whisk the Italian Cookie batter again. Spoon about a tablespoon of cookie batter onto a parchment paper-lined baking sheet and bake the Italian Cookies for 15 minutes until they’ve set. 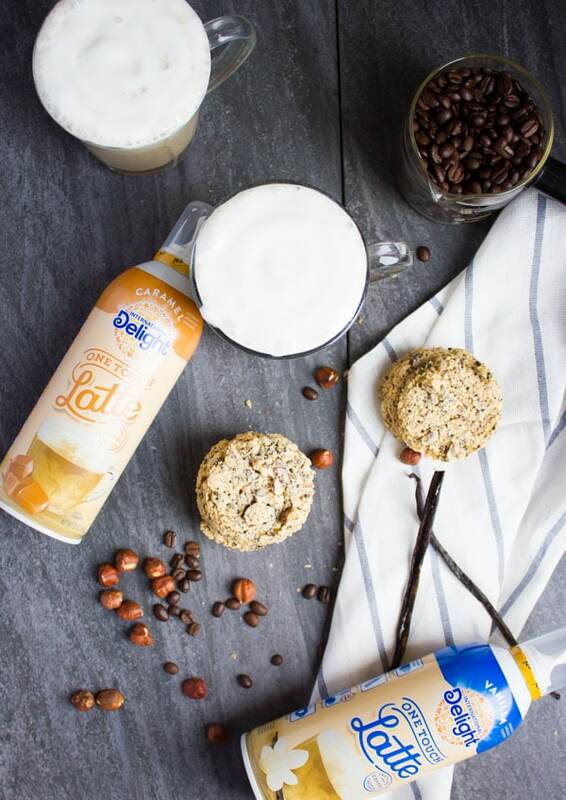 Since the season is all about outdoors now, these Coffee Bean Crunch Italian Cookies are light and fresh—perfect when paired with a sweet cup of latte. In addition to how simple and delicious these Italian cookies are, they can totally be made in advance and the crunch ingredients are up to your taste! I added plenty of crushed hazelnuts because that’s how I remember them when I was a kid. And I added crushed roasted coffee beans, because, well I LOVE COFFEE! You can add any type of nut, chocolate chips, dried fruits or seeds to these Italian Cookies. Make sure to not overbake the cookies as they might get a bit too crispy. Store these in a metal tin in a cool place. 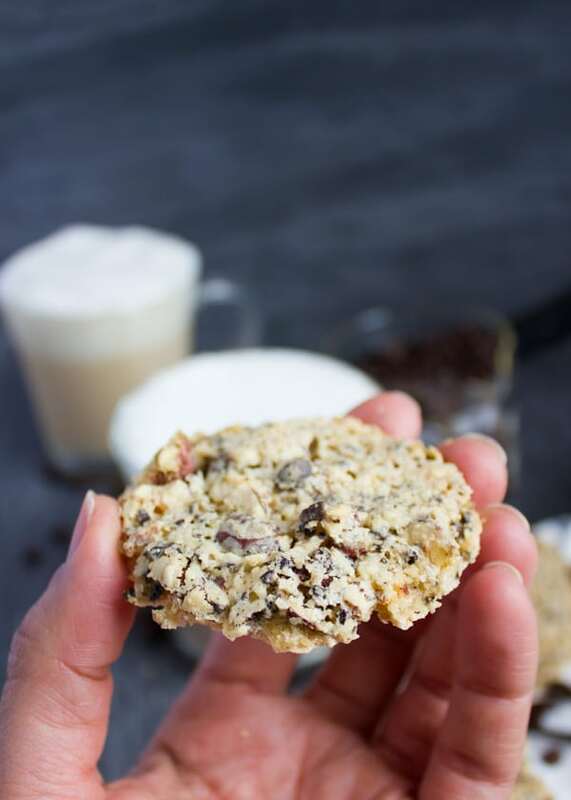 These Coffee Bean Crunch Italian Cookies are light as air, delicately crispy, loaded with chunks of coffee beans and hazelnuts, and not too sweet! The best thing? They are easy to make and only require a handful of ingredients! 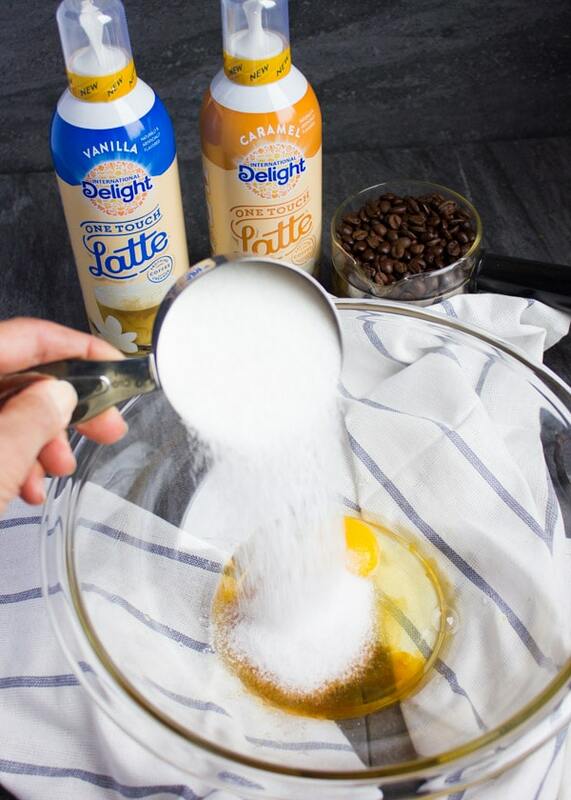 In a large bowl, add the egg, sugar, vanilla, almond flour and baking powder, and whisk until smooth. 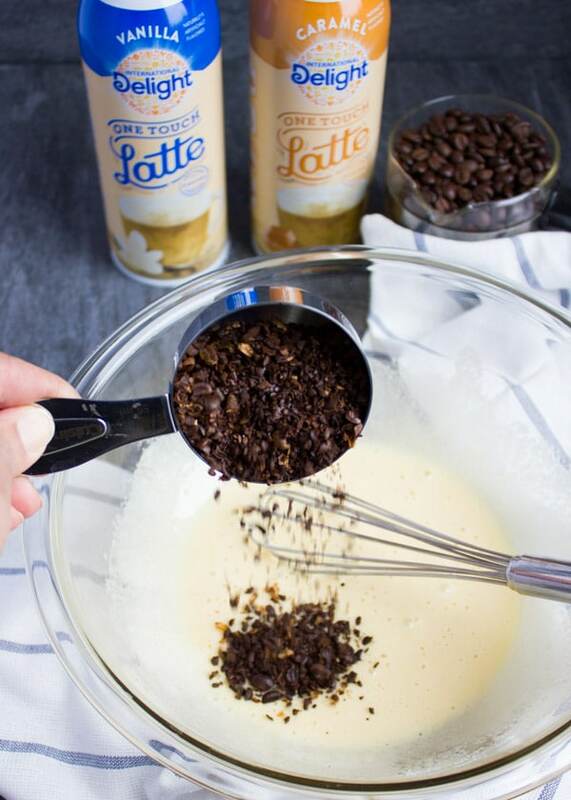 Add the crushed coffee beans and hazelnut and whisk the batter again. Do not know what I did wrong used almond meal it was very dry and did want to hold together. Help. How fine do you grind the coffee beans ? Help. I love cookies and I love coffee!! 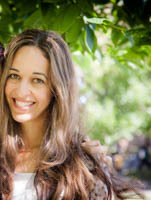 Hey Debra, So Sorry to read this!! Ok so here’s what I’m thinking–what size of egg did you use? I used large, not extra large or jumbo.The Almond meal is used was finely ground (that’s how I bought it) and the coffee beans I crushed in a ziploc. Basically place your coffee beans in a ziploc, seal it and then take a rolling pin and roll it over the sealed ziploc to crush the coffee beans. Or you can use a food hammer and crush the coffee beans. Another thing, the batter should not be runny. It should hold it’s shape, and spread a bit in the oven. Remove them from the oven when they set (but not harden). How did you ‘crush’ the coffee beans? Looks great! I’m going to try it out. Do you have recommendations regarding using ground coffee instead of crushed coffee beans, maybe decrease the volume? Avoid entirely? Thanks! Could I use less crushed coffee beans and add some dried tart cherries instead? How about adding toasted walnuts? Thanks so much. I love coffee but am afraid the flavor might be too intense for others. Crunch Italian Cookies recipe is looking awesome, thank you for sharing this awesome Italian Cookies Recipe. Hope you make them Selena! I simply cannot get enough of this! I highly recommend it to everyone! These are the perfect dessert! Now this is my kind of cookie!! I am loving the flavors in these!! They are fantastic! Fun idea! Looks so yummy! This has everything I love!